Get your wet suit on, tuck your board under your arm, and plow through the pristine waters of New South Wales to catch the next big one. Are you ready for the ride of your life? The epicenter of surfing in Australia is New South Wales and it is home to some of the best beaches and surf spots in the world. Its entire coastline is liberally studded with top-notch beaches, reefs and point breaks with good swells all year round. New South Wales boasts world-class surf areas that include Byron Bay, Coffs Harbour, Port Macquarie, Newcastle, Sydney North, Sydney South, and the South Coast. The coastline offers pristine beaches of all varieties from beaches in their natural state to beaches that come with everything from surf schools, beachside accommodations, bars and restaurants to luxury spas and dolphin cruises. Being an area in Australia that has more accessible surf beaches than anywhere else on the continent, New South Wales is well known for its vibrant surf culture, with accredited surf schools that can be found up and down the coast. Its nine national surfing reserves along the coastline are sites of environmental, cultural, and historical significance in Australia’s surf culture. These sensitive coastal regions are not only protected forever, but they also ensure that surfers for generations to come will enjoy some of the best beaches in the world. With a host of famed beach breaks in Sydney and along the north and south coasts, it is no wonder that New South Wales is home to several Australian world surfing champions. Offering a range of surfing events, surf shops and surf schools for surfers of all ages and abilities, New South Wales attracts thousands of surfers each year from all over the world. Being able to say that you went surfing in New South Wales is like being able to say that you learned how to drive with Mario Andretti. Surfing in Australia doesn’t get much better than this! This is a page in progress as new surf spots will be added as I come across them. I’ve numbered and underlined New South Wales’ national surfing reserves. The North Coast surf beaches of New South Wales reached iconic status during the 1960s when Australia’s surf culture reached its peak. The area is famed for its warm waters and quality waves, boasting a collection of long sandy points, beaches and reefs that attract surfers of all ages and abilities. There’s always a wave to be found in New South Wales North Coast. Lennox Head became the third site in Australia to be recognized for it’s recreational surfing. It was declared a National Surfing Reserve in February 2007. The largest beach in Australia, Lennox Head runs 7.2 kilometers. from the Surf Club south to Flat Rock. Catch one of Australia’s most famous waves at the right-hand point-break at Lennox Head, but be wary. This beach is not for beginners. In 2007, Angourie was listed as the second site in Australia to be recognized as a National Surfing Reserve. Home to one of Australia’s legendary point-breaks, Angourie is also famed for being Aussie surfing legend Nat Young’s home waters. Swells here only need to be one or two meters to start breaking, making it a great place to catch a wave for surfers of all abilities. With miles of golden sand backed by white crested waves, Coffs Harbour is home to several beaches that provide good conditions for all kinds of water sports. 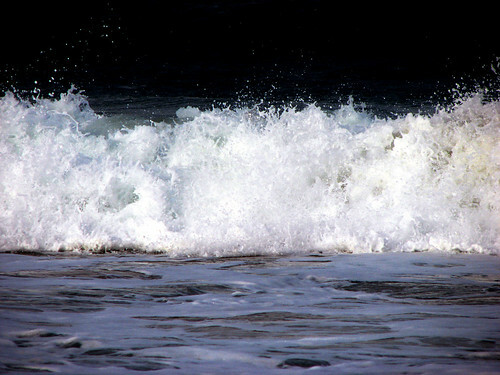 Some of the best-known beach breaks are at Diggers Beach, Headland Beach and Macauley’s Beach. Near the sunny seaside village of Cresecent Head, natural attractions, national parks and reserves, and scenic drives and walks abound. Just 19 kilometers south-east of Kempsey, the village is surrounded by the stunning beauty of Hat Head National Park, Goolawah Resreve, and the Limeburners Creek Nature Reserve. Its beaches include Front Beach, Back Beach, Goolawah Beach, Racecourse, Delicate Nobby and Big Hill. If that’s not enough to keep you busy, the 3.5 kilometers of coastline stretching from the north of Port Macquarie encompass the Crescent Head National Surfing Reserve. Sun, surf, an abundance of water sports, nature outings, historical buildings, cultural events, contemporary cafes and trendy boutiques make Port Macquarie a coastal holiday destination with a little something for everyone. An exposed beach/breakwater break, Port Macquarie has consistent waves throughout the year, making it a great choice for a surfing vacation at any time of the year. Surfing is serious business in Newcastle, and people come here year-round to experience its crashing waves and yearly surfing events. 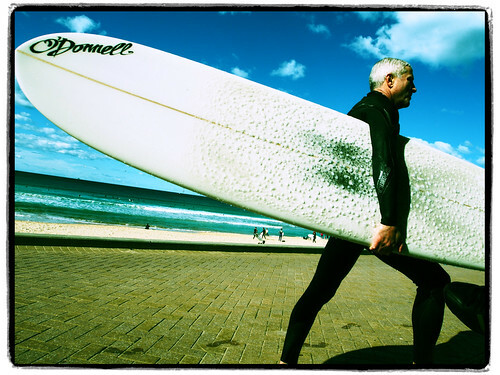 With a generous array of sensational surfing beaches, it’s no surprise that Newcastle has produced some of the best surfers in the world, including Australian surfing legend, Mark Richards. Very few cities in the world can claim to have one or even two world-class beaches and surf spots in their own backyard, but Sydney claims over 37 beaches collectively to the north and south of Sydney Harbour. Most beaches are within a one-hour drive by car or public transportation. Just 7km east of Sydney, Bondi Beach is one of New South Wales most popular beaches, and why wouldn’t it be with it’s close proximity to Sydney and it’s great surf and 1 kilometer long beach! Bondi receives thousands of visitors throughout the year. The cool thing about this beach is that you can catch a different ride in different spots long the beach. The northern end of the beach is quite gentle, while the southern side is well known for its famous rip current know as the “Backpackers’ Express” because of its proximity to the bus stop. 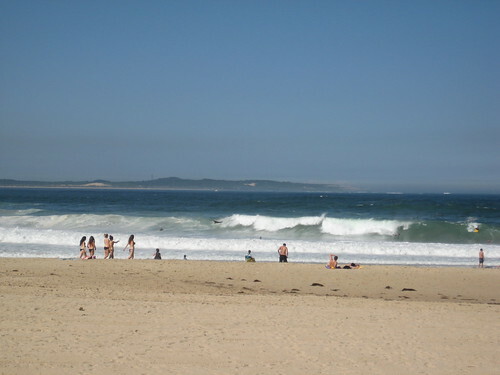 The south end of the beach is mostly used by surfers. If you’re not into surfing this is a great place to come and swim. You can also see pods of dolphins and whales in the bar during the months of migration. Bondi Beach was named an Australian National Heritage Site in 2008. 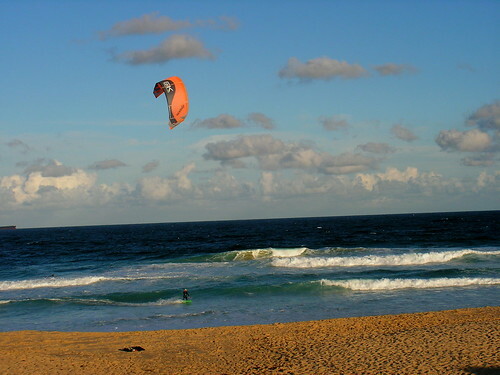 Home of four times World Surfing Champion Mark Richards, Merewether Beach was able to claim the honor of being a National Surfing Reserve in 2009. The reserve runs from Dixon Park in the north to Burwood Beach in the south. Entry is free at this surf reserve and it’s accessible at all times. Surfers can find competitive surf conditions here, while other visitors can enjoy Monday through Saturday lifeguard services and regular beach patrols on Sunday. More than three kilometers of sand spanning from Narrabeen Lagoon in the north and Long Reef in the south encompass North Narrabeen Beach. The beach reserve offers four surf lifesaving clubs as well. There are a number of rips along this beach, so make sure you swim between the flags when beach patrols are present. In the center of the beach, Narrabeen Beach Surf Life Saving Club has put together an area with a bbq area, picnic tables, children’ds play area, toilets, and showers. 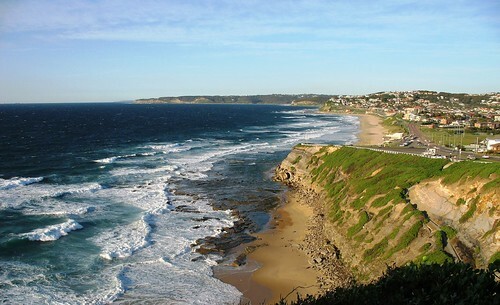 Located in the Sutherland Shire on Sydney’s southern coast, Cronulla is the only beach that can be accessed by train. In other words, this is a great beach to go to if you don’t want to worry about finding a parking spot! South Cronulla is perfect for all beach activities, from gentle waves, soft sand, and nearby tidal pools that are fun to explore. 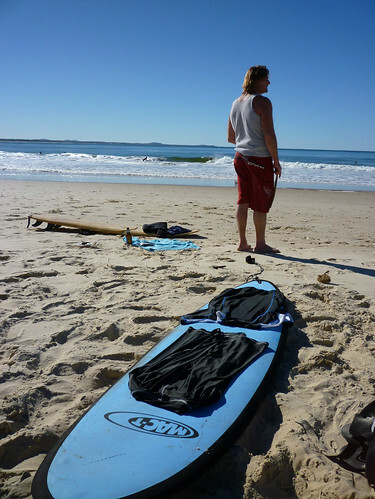 North Cronulla, Elouera and Wanda beaches are all popular surfing destinations, with local surf schools offering lessons to beginners through advanced surfers. Sydney’s Northern Beaches offer reef breaks, point breaks and beach breaks for everyone from beginners and kooks to expert surfers. If you’re lucky, you might catch the world’s best surfers at the annual Pro world tour events held at a number of beaches on this piece of coastline, which include DeeWhy, Freshwater, and Manly. Often touted as the quintessential Sydney experience, a visit to Manly beach is a must for any visitor. Embraced by an inner-harbor beach on one side and wildly popular surf beach on the other side, visitors to Manly Beach will find a laid-back attitude with a sophisticated shopping and dining scene. There are also a number of beautiful walking trails that link the beaches with the national park. You’ll find some of the coolest surf shops in Australia at Manly Beach! If you’re amped to learn how to surf at one of the world’s most popular beaches, you’ll get more than just a chance at the surf beaches in Sydney South. Bondi Beach boasts soft waves suitable for beginners, but watch out for the crowds, which have been known to get out of control. Shark Island, on the other hand, offers bombs and hollow barrels for surfers who want more of a thrill. Offering an abundance of surf locations for everyone, the South Coast of New South Wales is probably best known for its fine white sand beaches, excellent surf spots, and numerous accredited surf schools along the coastline. Just a few hours south of Sydney, the beaches in this wonderful area offer a number of spots where beginners and long boarders can enjoy easy-breaking waves. Surfers of all calibers are drawn to the South Coast’s rugged coastline, pristine waters, and long sandy beaches. 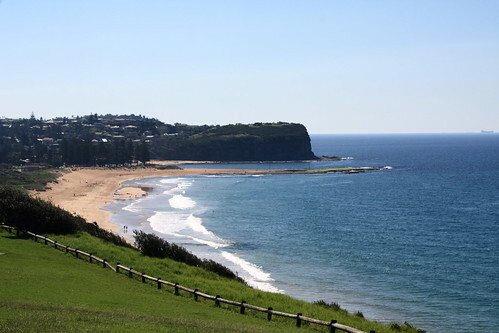 Popular beaches include the beaches around Wollongong, Mollymook, and 7-Mile Beach (Gerroa). Locals may argue vehemently about their picks for the best surfing spot in New South Wales, but there’s no denying that the small city of Wollongong offers some of the best surfing around. Being approximately 50 miles south of the central metropolitan area, Wollongong has over 20 beaches to choose from, making it a popular place for surfers, especially during peak season. Some of the beaches here have gentle waves, making it a great choice for beginners. The waves at some of Killalea State Park’s secluded beaches are some of the best to be found in Australia. This beautiful state park boasts 250 hectares of coastal reserve, with stunning views in every direction and a terrific range of public facilities. 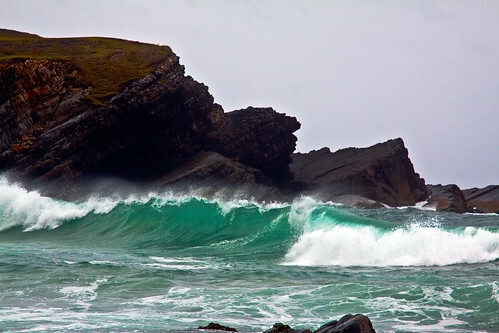 Killelea Beach, also known as The Farm, is famous with surfers throughout the region. Declared a National Surfing Reserve in 2009, this stunning beach offers beautifully landscaped picnic areas, bush ad coastal walking trails and it’s within hiking distance of Bass Point Reserve and Shellharbour Village. There is also a camping area and a backpacker bunkhouse. Be careful, though. The beaches here are not patrolled. So there you have it, folks. I could go on forever about the seemingly limitless surfing nooks and crannies in New South Wales, but I only had time to focus on the biggest and the best surf spots in this beautiful region of Australia. We’re certainly open to adding more to this page if you feel that a beach or surf spot needs to be added. We’d love to hear from you!